Opened 1872. Since 1913 also used as a cinema. 1997 rebuilding, installing a new studio cinema (89 seats) in addition to the main theatre hall (420 seats). Used for live performances, as a cinema and as an event venue. 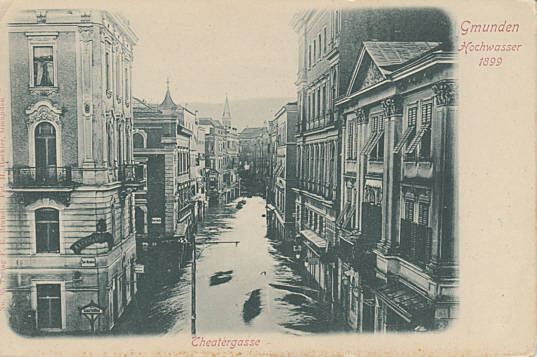 Front Text: "Gmunden, Hochwasser 1899", "Theatergasse"